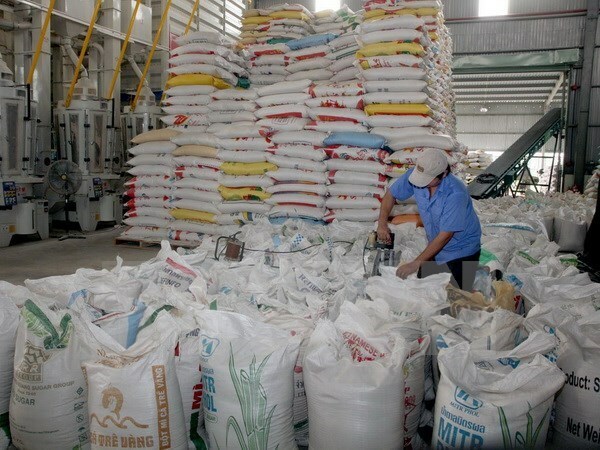 HCM City (VNA) – The Vietnam Food Association (VFA) aims to ship 2 million tonnes of rice to foreign countries in the last five months of the year, increasing total rice export for the whole year to 5.2 million tonnes, up 6 percent year-on-year. Vietnam exported an estimated 3.24 million tonnes of rice at FOB value of 1.4 billion USD in the past seven months, representing an increase of 11 percent in volume and 11.4 percent in value over the same period last year. July alone saw 584,000 tonnes of rice sold abroad for more than 240 million USD, which was the highest monthly volume so far this year, with most of the rice shipped to China, Bangladesh and Africa.